She is an elegant yacht with ample space and good performance, she was built in 2005 by Falcon and last refitted in 2017-8. Her exterior styling has been designed by Stefano Righiniand her interior’s designed by Falcon. New fresh & light colours fabrics and linen has been renewed from her new owner. She can comfortable accommodate up to 12 guests in 5 cabins including a Master Cabin with king size bed, a VIP cabin with queen size bed, a Double cabin and two twin cabins each with one extra pull man berth each, all with en-suite facilities. Falcon Island has a spacious Saloon with relax atmosphere with 2 large couches including a social L shaped couch. The Stylish Dinning area is adjacent to the main salon where you can enjoy the chef’s delicious meals. She has generous exterior space with al fresco dinning possible both on the main aft deck and the upper sun deck. 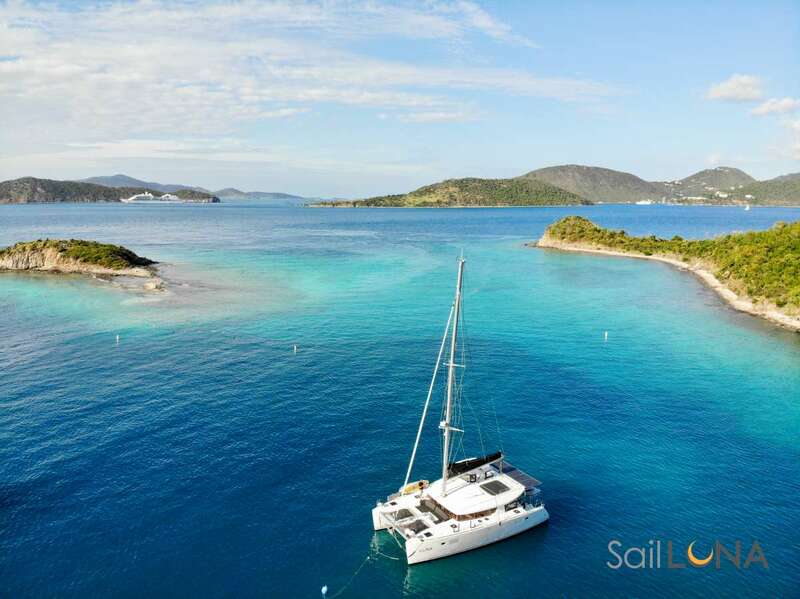 She has a large array of water sport toys on board to enjoy the stunning blue crystal waters! She is based in Athens for cruising in East Med and her powerful engine can cruise between 20 –27 knots, thus she gives the possibility to reach your destination quickly or instead lie at anchor in secluded bay or just relax and enjoy the first class service offered by professional crew of 6. 2 Guest twin bedded cabins each with a Pullman berth. Captain George, was born in Evoia in 1962 and he graduated the Merchant Marine Academy of Hydra. He is holder of Captain’s diploma. He has been working for over 30 years in yachting and his moto is “client first”. He is an experienced seafarer, always willing to offer the best trips to his passengers and to reveal them the magical world of living on board the yacht. Konstantina was born in Athens in 1972 and since she was little she has always had passion for cooking. After many years of working in restaurant kitchens she took the big decision to live in the sea so she has been working on charter yachts for the past 4 years. She loves to reveal to her passengers the fragrances and colours of the Greek land as well as the Mediterranean Sea with her delicious creations. Katia was born in Odessa in 1980 and the last 10 years living permanently in Greece where she created a beautiful family with her Greek husband. With an experience of more than 9 years in charters and her excellent skills she is a great hostess that offers high standard service to her passengers. Being a mother herself she gets very well along with children. Spyros who was born in 1970 in Peloponnese holds a skipper’s licence and he has been working as skipper for more than 10 years in motor yachts. He has also engineering skills as he holds diploma of Electrical engineer of internal combustion engines. He is a non-stop worker who’s trying to offer the maximum of the facilities to the passengers on board the yacht. The prices shown are for the entire yacht for a week-long (7 nights) charter. The high and low prices of this yacht depend on both the number of guests and the traveling season. Send us an inquiry for exact pricing. The price includes a professional crew operating your chartered yacht, but all running expenses such as fuel, tax, provisions and any other costs are extra. Calculate between 15-25% for a sailing yacht and 25-35% for a motor yacht on top of the given rate with an APA cash payment made to the ships agent or captain, who will keep an open tap and produce full accounts of all expenditures. Inquire for more information. Send us an inquiry to get specific pricing for Falcon Island. We had a wonderful time during our trip to Greece, the crew were very nice to us, they were very aware of everything we need to make us have a very good time. We visited very nice places. The Greek food was very good. The ice creams the yogurt, the baklavas delicious. Fish, vegetables, lobster, shrimps etc. The Falcon Island was very comfortable and clean it was the exact space for the family. We had very good weather. Falcon Island was a great family experience where we got to visit the Cyclades, as well as do water sports. Boat trips like cruising in the Falcon Island bring families together bringing great memories back. The best crew in the world!!! Thank you very much for the for the best trip with memories that will last for our lifetime! We had the best trip, first for all of you and then the weather and the boat, all the places were very nice and beautiful. I wish you the best and I will never forget the trip and you. The A. family and friends had an incredible experience on Falcon Island – the boat was beautiful, but the people were even more spectacular, thank you for making our first tripto Greece unforgettable. Hopefully we will return someday soon! We currently don't have a sample menu for Falcon Island. Please inquire for more information. Can't find what you are looking for? Make a general inquiry and let our charter experts do the search for you. A Sailboat Vacation Ltd., Anguilla B.W.I. Caribbean Offices: St. Thomas, USVI & Punta Cana, Dom. Rep. Please Note: All prices are subject to change and are based on availability. Disclaimer. This site is SSL encrypted. Copyright © 2019 A Sailboat Vacation Ltd. All Rights Reserved.